An Indianapolis City-County councilwoman is trying to stop Carmel from building several roundabouts along the border between the two cities. Christine Scales has refused to sign an interlocal agreement to allow Carmel to build roundabouts at 96th Street's intersections with Hazel Dell Parkway, Gray Road, Delegates Row and Randall Drive. As the local district representative, Indianapolis is following her lead. built. She thinks motorists are more likely to shop on the commercial corridor if they have time to look around while waiting at traffic signals. Her stance has led to a clash with Carmel Mayor Jim Brainard that was highlighted in an email exchange between the two obtained by IndyStar. "My opinion, which is shared by many, is that while (roundabouts) may serve well in some locations, it doesn't mean they serve well as replacements for each and every stop sign or light," Scales wrote in an email to Brainard. "The existence of 100 roundabouts (and counting) in a city the size of Carmel is a lot of roundabouts." I have said before that the creation of roundabouts by Mayor Brainard has been the best thing he did in office. Prior to the roundabouts traffic flow in and around Carmel was dreadful. However, after two recent trips to Carmel, I find myself agreeing with Councilor Scales. It seemed like every Carmel intersection I drove through had a roundabout, including ones that would have been much better served with traditional traffic devices. Brainard thinks he can build the roundabouts without Indianapolis' permission because state law places Carmel in control of improvements on its southern border. Carmel also isn't asking for any help from Indianapolis with funding. Scales, though, said Indianapolis officials disagree that he can move forward without an interlocal agreement and will fight him if he tries. Brainard hopes to convince Scales and Indianapolis to sign on. But he says he'll find a way to build the roundabouts regardless. "If necessary," he wrote in an email to Scales obtained by IndyStar, "we would simply move the roundabouts a few feet north." So, let me get this straight. Democrat Christine Scales is against Carmel Emperor Mayor Brainard's roundabouts. And, she says, she is going to fight them, by God. Scales seems to vow she is going to stop the Emperor Carmel Mayor from proceeding without her blessings. Let's see if she is as effective fighting Mayor Brainard's roundabouts as she was with her "fighting" her uber-corrupt fake Republican & criminal Indy ex-mayor Greg Ballard. Scales said was against Vision Fleet, Scales said she was against Blue Indy, and Scales said she was against all the other idiotic crony deals Greg Ballard pushed whenever he and his cronies might benefit. And Scales said she would fight them. Scales also pushed as a "Blue Indy solution" Adamson's completely impotent (and very poorly thought out) "franchise fee" idea to stop Ballard's plan for his BFF billionaire French Balore Blue Indy. Oops, oh wait.... we see how well all that worked out. Last time any Marion County taxpayer checked on the Ballard lawless deals Scales was against... well, they are all still there. Scales says a lot of things, doesn't she? However, Scales proves to be all talk and no effective action. Being a whiner and a chronic complainer is not leadrship. Scales belongs with the Democrats. If I recall correctly, Indiana counties (or a city/town, if the area is incorporated) are responsible for maintaining all roads on both the south and east lines of the county. If that's the case, let Carmel pay for the roundabouts. n 8:53 has a good point. I might add that if backward Indianapolis and Her live-in-the-past career politicians- including those who cavalierly shed one political philosophical skin when a diametrically opposed political ideology might afford enhanced personal political advancement- let them live in the dark ages. 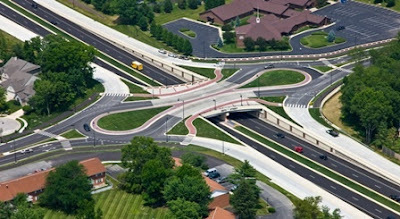 The roundabouts, also known as rotaries, can improve traffic flow and enhance the environment over the distracting visuals of strung-up street lights, rusting and/or bent traffic signs, and the fact there are no worries regarding burned out traffic light bulbs or flashing traffic lights due to damage or no electric stop lights at all due to a power outage. As a Carmel resident who fled Marion County, I agree with Paul Ogden regarding the roundabouts and the difference the roundabout not make for traveling through Carmel today vs pre-rotaries. As bad, dishonest, self-aggrandizing, emperor-like, and prickly as some of us Carmel citizens realize Brainard is, Carmel is far easier to negotiate by automobile than it used to be, even as far back as the 1970's. Anyone with eyes open can see that Marion County is a failed county. Where are the families, the more educated, the better salaried, the vibrancy, the youth, and the opportunities? Why, you will find it all in the suburban counties that ring Marion like the proverbial donut analogy. Where do you find the failed or rapidly failing infrastructure, the growing crime, a downtown turned into a tawdry Disney land-looking traffic nightmare with formerly sunlit streets now darkened by cheap, gaudily clad over-priced rental units atop vacant commercial space? And where do you find roadways that as of this writing remain afflicted with growing or already large, deep potholes that damage vehicles (as they did mine several weeks ago) making auto traffic dangerous? Why, it's all in Marion County. And why has this come about? Look to the politicians. Politicians and the political machines since Keith Bulen have financially raped Marion County and Her taxpayers to the point corrupt Ballard-like "government-private partnerships" (a euphemism and code word for "theft of the land and of taxpayer monies advantageous to the few") have benefitted the pay-to-play cronies of the attorneys & and big attorney firms who run the Marion County political machines. And in the world’s worst City County Council, now-Democrat Christine Scales’ BFF forever-Democrat Zach Adamson demands the pay raise I believe he has been working on since the day he came to Council office. *As a Carmel resident who fled Marion County, I agree with Paul Ogden regarding the roundabouts and the difference the roundabouts make for traveling through Carmel today vs pre-rotaries. As bad, dishonest, self-aggrandizing, emperor-like, and prickly as some of us Carmel citizens realize Brainard is, Carmel is far easier to negotiate by automobile than it used to be, even as far back as the 1970's.
" Indiana Code 8-17-1-45 does provide that each county is responsible for the “construction, reconstruction, maintenance, and operation of the roads, including ditches and signs for those roads, making up its eastern and southern boundaries.” This statute makes no specific mention of issues such as acquiring right-of-way for such construction, regulation of those rights-of-way, etc. (although “operation” implies that they would be able to regulate the right-of-way). However, the statute does provide that two adjoining counties “may” enter into interlocal cooperation agreements under IC 36-1-7 for the construction, reconstruction, maintenance, and operation of “any road or part of a road that makes up the boundary between the two counties.” Although the “may” language is permissive, it is the City’s position that an interlocal agreement is necessary in order for any adjoining county/city to buy right-of-way in Marion County and to allow for those other communities’ ordinances regulating right-of-way to be enforced in Marion County. The interlocal cooperation statute, IC 36-1-7, requires that such agreements be approved by the fiscal body, which of course for Indianapolis/Marion County is the Council." “The City of Carmel has no authority to take property in Indianapolis. The Home Rule Act provides that “[w]henever a statute authorizes a municipality to exercise a power in areas outside its corporate boundaries, the power may be exercised: (1) Inside the corporate boundaries of another municipality, only if both municipalities, by ordinance, enter into an [interlocal] agreement under IC 36-1-7; or (2) In a county other than the county in which the municipal hall is located, but not inside the corporate boundaries of another municipality, only if both the municipality and the other county, by ordinance, enter into an agreement under IC 36-1-7.” Ind. Code 36-1-3-9(c). This limits a municipality's right to exercise its powers outside the municipal boundaries under Ind. Code § 36-9-2-18. At a minimum, the statute does not allow the City of Carmel to take land in the City of Indianapolis -- including all the right-of-ways south of 96th Street identified in the Environmental Document -- unless Indianapolis voluntarily enters into an interlocal agreement to do so. When Ms. Scales can cite a COURT'S ruling on Indiana Code pertinent to this roundabout issue- somthing that would actually carry legal weight- now that would be something to behold. An attorney's "interpretation" is about as valuable and meaningful as an appraiser's opinion of value. An interpretation and an opinion can not be construed [or conflated] to be real fact. And both could be found to be "wrong". The interpretation of the IC cited has been accepted and followed by every county in the State that has found themselves in need of an adjacent county's ROW. It has also been adhered to by the City of Carmel when needing Marion County land for other roundabout purposes. Mayor Brainard aggressively pursued the Interlocal Agreement for E.96th and Keystone, Priority Way and Haverstick roundabouts. The first occasion for Mayor Brainard to state he didn't need an Interlocal and was seeking one only as a "courtesy" to Indianapolis was when I delayed my support for the E.96th/Keystone one. While he continued to assert that he didn't need one, Mayor B continued to seek it and much pressure was put on me to provide my support for the Interlocal. He's now trying that bluff again. For the life of me, I will never understand why Democrat long time Indianapolis City County Councilor Christine Scales is full tilt against progress. Why seemingly cherry pick a political battle like this in which the roundabouts could improve the E. 96th corridor? To allege that motorists will be more likely to patronize roadside businesses while forced to wait through traffic lights while their vehicles burn expensive energy and pollute the air is sheer lunacy and it is not honest. Where is the proof for such an allegation? Is it any wonder Marion County circles the drain? Amused I am about two small potatoes politicians who appear to be fighting for top dog position over a few intersections. Quite frankly, I don't care if Indianapolis agrees or does not agree to improve the identified intersections along E. 96th Street. What does bother me is a politician who has no real argumentative alternative for fighting progress other than the tired, worn out excuse "that's how it used to be and that's how we've always done it" as a valid reason to fight change and roadway improvements. Just because an interpretation (an INTERPRETATION!) "has been accepted and followed by every county in the State that has found themselves in need of an adjacent county's ROW" does not mean the "interpretation" was the right thing or the right course to follow. Observers may find themselves asking if this the best Indianapolis voters can do. The roundabouts will be a huge improvement favoring safety, more efficient traffic flow, and create benefits to the environmental aesthetics. Politicians like this explain why tourists to Indiana-No-Place claim they have to set their watches back fifty years when they enter into the Indianapolis city limits. So many anonymous posters on a topic of little interest to death squads. Wonder why. Brainard has bad-mouthed Indy appropriately in the past because it can't fight potholes. Too bad he is on the same road to perdition of Indy of TIFing up the place so much that in a few years the good (roundabouts) will be swallowed up by shoveling money to TIF cronies and Palladiums. It is not shocking an attorney will write an opinion that aligns with the employer's/client's wishes. I think Christine is right here, though, since the opinions have been followed so much.